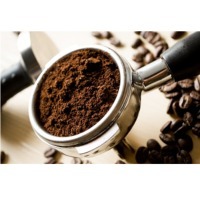 Browse instant-coffee suppliers by country and region. 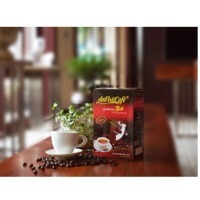 Spray Dried Instant Coffee of An Thai satisfy with consumer demand for its taste and quality. The product is made from 100% Robusta coffee beans without any flavors or preservatives, but still keep the typical aroma of the natural coffee. Spray Dried Instant Coffee -SR1 Element: 100% Robusta coffee beans Feature: Powder Puce Typical Aroma Expiry date: 18 month Net Weigh: 10kg; 20kg Kind of beans: Roasted Robusta Coffee Beans Spray Dried Instant Coffee is selected from the best quality of Robusta coffee beans in high quality from Vietnam, by the harmonious and unique combination of traditional roasting and modern processing, still keep the typical aroma of natural coffee. To meet varied market requirement about quality, we have adjusted material to make different product quality which satisfy with consumer and export standard. Apply modern spray drying technology of Europe. 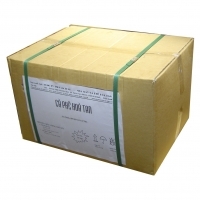 To avoid the moisture, the product is packed by 4 layers including 2 layers PE inner and layer PP with Kraft bag outside, as export standard. Short on time? 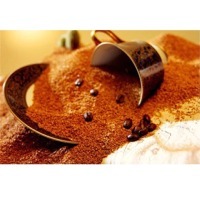 Let instant-coffee sellers contact you. Grocery items such biscuits, air freshener, instant coffee, snack, tea bag, instant noodles, toothbrush, toothpaste, personal care, food and beverage, female napkin, detergent powder, floor liquid cleaner, dishwashing liquid soap. Chicory powder, instant chicory powder, liquid chicory & roasted chicory extract, dried chicory cube, roasted chicory cubes, roasted chicory grains, instant coffee powder & agglomerated coffee, malt extract powder & malted milk food. 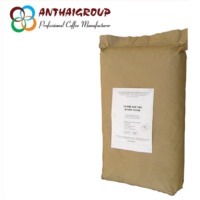 Green coffee beans (india origin), spray dried coffee, agglomerated coffee, freeze dried coffee, private label. Unroasted Coffee, Roasted Coffee, herbs, spices, herbs and spices, cloves, ginger, cashew nuts, natural resins, gum rosin, turpentine, paper, FMCG, beverages, beauty care, office supplies, snacks, noodles, instant coffee, soft drinks, energy drinks, escargots, peanuts, towel, soap, shampoo. Instant tea, instant green tea, herbal tea, tea extract, soluble tea, instant coffee, spray dried tea, flavored tea, instant premix tea, premix coffee, instant herbal tea, french fries. Coconuts shell charcoal, fisheries, coffee, cacao. Coffee beans, ground coffee, instant coffee, 3 in 1 coffee. Copper, bauxite, cobalt, iron ore, coffee, cocoa, sesame seed, cashew and other nuts as well as pineapple, apple and other fruits. Chocolates, coffee beans, tea, leather products, incense sticks, namkeens, gingelly oil, confectioneries, shirts or T shirts, merchandise, wheat, leather belts, bags, wallets, handbags.